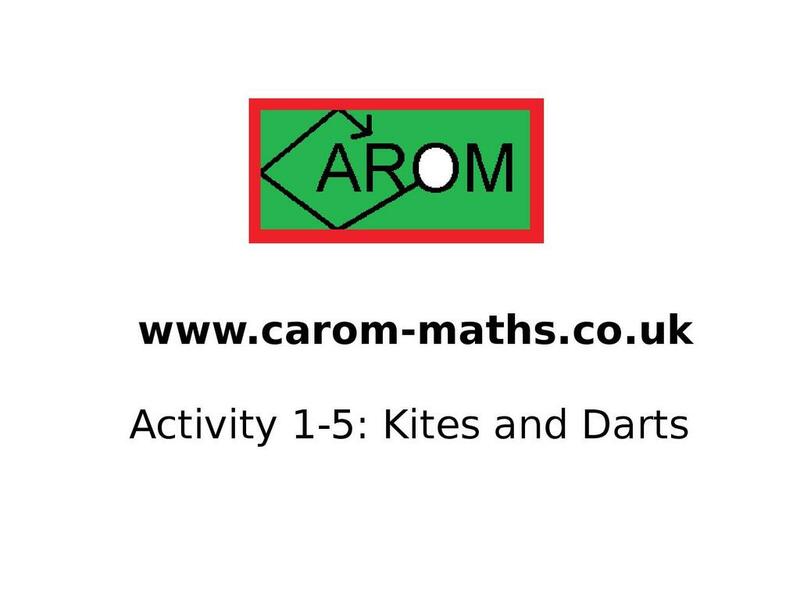 Carom Maths provides this resource for teachers and students of A Level mathematics. In this presentation students explore non-periodic tiling patterns using templates of kites and darts, as well as discovering the many remarkable facts to be found in these tilings. The resource is designed to explore aspects of the subject which may not normally be encountered, to encourage new ways to approach a problem mathematically and to broaden the range of tools that an A Level mathematician can call upon if necessary.